It may be mid-March, but considering the underwhelming output of the year so far, I don’t think it’s too late to make a most anticipated movies list. Any time Spike Jonze releases a new movie, it’s probably going to be my number one most anticipated movie of the year. That’s just how it works. And given that Jonze hasn’t made a movie since 2009’s Where the Wild Things Are and that Her stars the equally (until just recently) absent Joaquin Phoenix, yeah, you could say I’m looking forward to it. The movie stars Phoenix as a man who falls in love with his operating system, and the movie also stars Rooney Mara, Amy Adams, Olivia Wilde, and Samantha Morton. Director Steve McQueen teams up with actor Michael Fassbender once again for this upcoming slavery drama. That pairing alone would be enough to catch my interest, but the movie’s extremely impressive cast also includes Chiwetel Ejiofor (who we have not seen nearly enough of recently), Brad Pitt, Benedict Cumberbatch, Paul Giamatti, Paul Dano, Garrett Dillahunt (Raising Hope), Taran Killam (Saturday Night Live), Scoot McNairy (Killing Them Softly), Adepero Oduye (Pariah), and Quevenzhane Wallis and Dwight Henry (both from Beasts of the Southern Wild). Whew. I’ve been waiting five years for David Gordon Green to recapture the understated magic he found in movies such as Snow Angels, All the Real Girls, and George Washington. Now, after his stoner comedy detour (and for the record, I did love Pineapple Express), he seems to have found his way back with Prince Avalanche. With an appealing lead duo of Emile Hirsch and Paul Rudd, this dramedy follows two friends in the ‘80s who escape their urban lifestyles for a summer. It was a hit at Sundance and Green even scooped up the prestigious Silver Bear at the Berlin Film Festival, so this is certainly one I’ll be checking out. Shows like Community have popularized the “meta” approach to storytelling, but I can’t think of a project that takes the concept quite so far as the upcoming ensemble comedy This is the End. The film stars Seth Rogen, James Franco, Jonah Hill, Paul Rudd, Michael Cera, Jason Segel, Emma Watson, Jay Baruchel, and Danny McBride…who all play themselves. After a long night of partying at James Franco’s house, they wake up to find that the world has ended while they slept and they must deal with the fallout. This whole concept could become very one-note, but the trailer was pretty hilarious, and I’m excited to see whether or not writer-directors Rogen and Evan Goldberg (who wrote Superbad together) can make it work. Ron Howard is a director who seems to get a lot of criticism for his sentimentality, but I personally am a big fan of Apollo 13, A Beautiful Mind and Frost/Nixon. So when I heard that he was making a movie with Chris Hemworth and Daniel Bruhl (Inglourious Basterds) I was immediately hooked. The film is called Rush, and it’s based on the true story of two racecar drivers in the 19070s. Hemsworth has proven to have presence and acting chops even in the glossiest of blockbusters, and I think we’re yet to see his full potential. Meanwhile, Bruhl has had a successful career in Germany (please check out Good Bye Lenin! if you haven’t already), but is yet to truly get his big American break after appearing in Basterds. This could be the movie that puts them on the map as bonafide dramatic actors. The West Memphis Three have been a popular film subject recently, with several documentaries made about the case (the most recent of which was last year’s West of Memphis). Now, it gets the fictional treatment by director Adam Egoyan (The Sweet Hereafter) with Devil’s Knot. The film stars Colin Firth, who I’m always happy to see, but it’s perhaps one of the supporting players who I am most intrigued by. Dane DeHaan is an actor I’ve championed a lot, and since I’m assuming he’ll play one of the accused teenagers in this movie, I’m interested to see what he’ll do with the meaty subject matter. Kelly Reichardt’s Wendy and Lucy didn’t do much for me, but I did love her 2011 project, Meek’s Cutoff. Now, she teams up with Peter Sarsgaard, Jesse Eisenberg, and Dakota Fanning for a drama about extremists who plan to blow up a dam. It sounds like a more plot-driven concept than her usual fare, and I’m intrigued to see what Reichardt will do with that. Jason Reitman is another director whose work I am automatically going to get excited about. This one sounds to be more dramatic than his usual work, as a mother and son unknowingly befriend an escaped convict. Add in a cast of Kate Winslet, Josh Brolin, James Van Der Beek (I fully support this comeback), and Tobey Maguire, and I’m on board 100%. After the success of 2010’s Animal Kingdom, I, like many others, have eagerly been awaiting David Michod’s second directorial effort. It turns out that project is The Rover, which re-unites him with Guy Pearce. Also joining this “near-future Western” is the always intriguing Robert Pattinson, whose acting skill I still have hopes for. Throw in Scoot McNairy (what ISN’T he in, lately?) and you’ve got a movie that sounds potentially pretty great. Fanboys, this is your moment. Nicolas Winding Refn and Ryan Gosling are reunited for this gritty tale of Thai boxing. And while I think all of the breathless pronouncements about how amazing Drive is get a bit silly, Drive is a solid film, and it’s extremely stylish and visually captivating. So, yeah, I’m definitely interested to see what this pair has to offer next. Daniel Radcliffe plays Allen Ginsberg in this beat-era drama that premiered at Sundance. 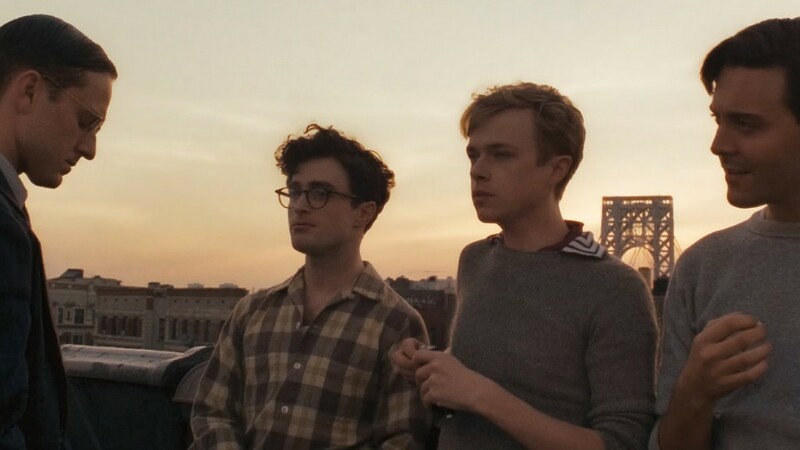 Dane DeHaan received standout reviews for his performance as Lucien Carr, and the cast also includes Ben Foster, Jack Huston, Elizabeth Olsen, and Michael C. Hall. This story of a youth struggling with love and a budding alcohol problem has all the makings of a cheesy teen movie on paper, but it’s the cast that is really winning me over. Leads Miles Teller and Shailene Woodley are two of my favourite young actors, and after their work in Rabbit Hole and The Descendants, respectively, I’m excited to see what else they can do. Mary Elizabeth Winstead, Jennifer Jason Leigh, Kyle Chandler, and Brie Larson also appear. And on top of all that, this is the second feature from director James Ponsoldt, whose sweet and touching Smashed completely won me over at TIFF last year. This entry was posted in Lists and tagged 2013 movies, A Single Shot, Devil's Knot, Her, Kill Your Darlings, Labor Day, Lists, Movies, Night Moves, Only Got Forgives, Prince Avalanche, Rush, The Rover, The Spectacular Now, This is the End, Twelve Years a Slave. Bookmark the permalink.